There's a pink man with pink cloths and he had a one story pink house and everything in that house is pink. What color were the stairs? There was no stairs! It's not possible to have a one story house to have stairs! 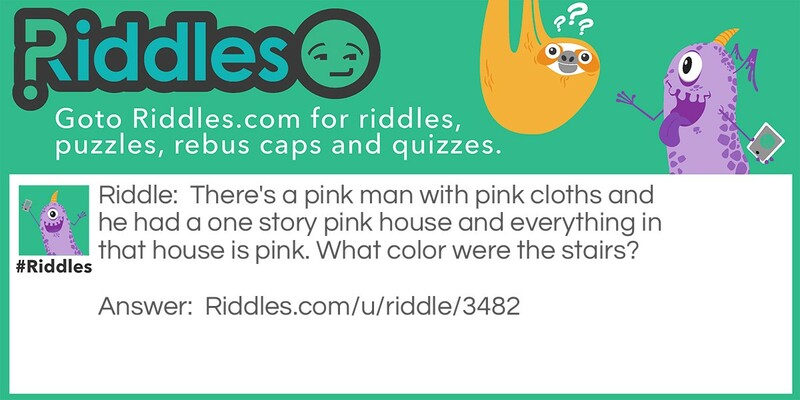 pink man Riddle Meme with riddle and answer page link.